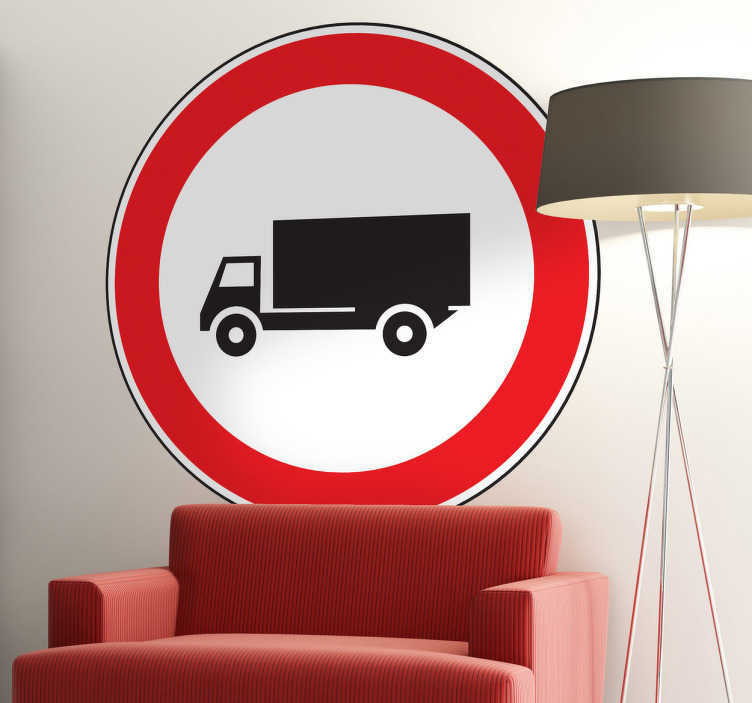 Sign decal of a lorry in a circle with red borders that warns us that we are in an area where lorries are present. A very useful sign sticker that will alert everyone and will give the right message to everyone. Make sure everyone is careful by placing this wall sticker wherever it is necessary. You can also place this wall decal at home and create an artistic and stylish environment.